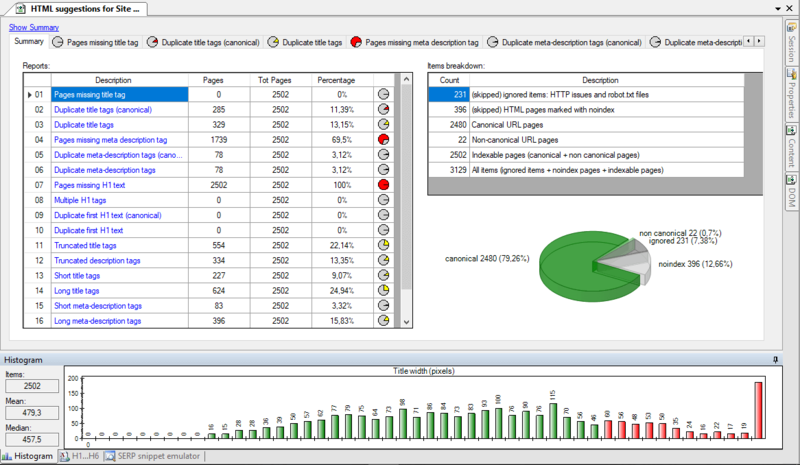 Visual SEO Studio is a desktop SEO Audit Software, a Visual approach to make SEO tasks quick and easy. The program lets you Crawl one or more sites in parallel with its Interactive Web Spider, Spot on-site issues at a glance, Save Page Screenshot miniatures and see where the browser fold lays, visually edit robots.txt and XML Sitemaps files, Export to native Excel format... With in depth SEO / HTML / URL reports no other SEO product offers (e.g. Truncated page titles, titles longer than 12 words,...), Visual SEO Studio assists you through all the SEO steps to Optimize Ranking, Click-Through Rate, Bounce Rate, and Conversion Rate. Visual SEO Studio is a comprehensive SEO suite, all Visual. Check it out! Available in English, German, Italian, Polish, Russian and Spanish. This site does not contain serial number, crack, keygen Visual SEO Studio serial number : serial number is the simplest type of crack. A serial number(cdkey,product key,etc) is register the program as you may already know. a crack or keygen may contain harmful software. If you cannot find the exact version you want, just give it a try. for more information read .nfo/.txt/.diz file include in zipped file.